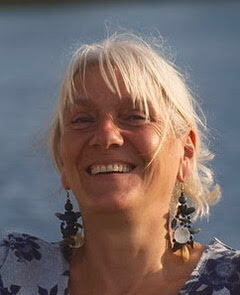 Caroline Hoek is a transpersonal psychotherapist, coach and trainer. While living in the Netherlands, she considers herself a global citizen and works with clients all over the world. Caroline is the founder of Good Life Guidance. It is her deepest wish to accompany her clients on the path of personal and/or professional development. Rather than rigid protocols or models, it’s her intuition and her 30+ years of experience that are her greatest strengths. Creating a safe, respectful and playful atmosphere, Caroline makes room for what needs to be addressed head on. There’s no mannerisms, only guidance for real transformation, letting her clients discover their unique gifts to use for inner and outer leadership. Anchored in (self) trust they no longer go along with the pulls of scarcity or the need to prove themselves. A thought enters my mind, causing a lightness I have never felt before. “Now that you’re here, Caroline, you might as well make the best of it”. A new calm enters my body. “Yes, if I can choose to die I can choose to live too,” I suddenly realise. I was surprised at how on earth this thought could change my whole being. No, I am not happy. But somehow I still feel, there is another way out.